GUIYANG, July 8 (Xinhua) -- China, with a total wetland area of 53.6 million hectares, ranks first in Asia and fourth in the world, official data showed. The statistics were released by the National Forestry and Grassland Administration at the Eco Forum Global Annual Conference held in southwest China's Guizhou Province. China has 57 wetlands that are of international importance, 602 wetland nature reserves and 898 national wetland parks, according to the administration. 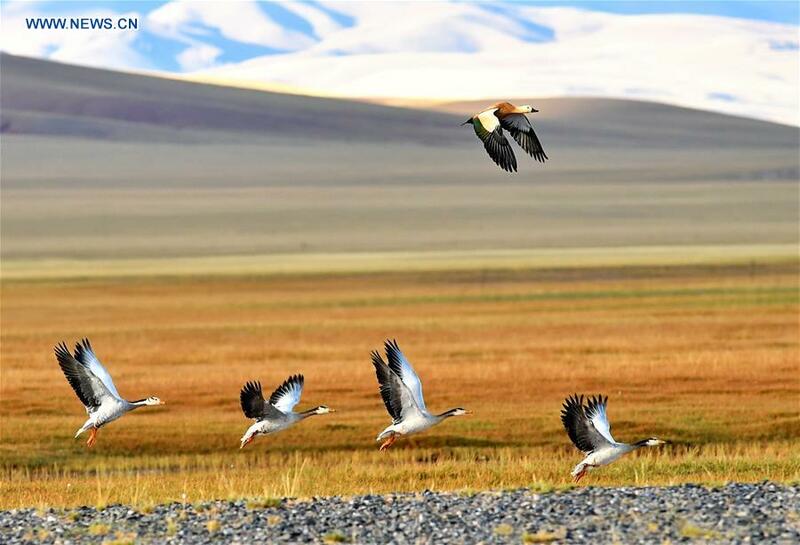 In the country's wetland ecosystem, there are 4,220 species of plant and 2,312 species of animals, with the wetland protection rate reaching 49 percent, the statistics showed. With increased policy support and financial investment, China has achieved remarkable results in wetland protection, said Li Chunliang, deputy director of the National Forestry and Grassland Administration. According to Li, a total of 8.15 billion yuan (1.23 billion U.S. dollars) of central investment was arranged from 2013 to 2017, covering more than 1,500 wetland protection and restoration projects. Over 233,333 hectares of wetland was restored, with 51,000 hectares of farm land converted into wetlands. China has completed the second national survey of wetland resource, with 11 provinces listing wetlands of provincial-level importance and announcing 445 provincial-level important wetlands, Li said. China will step up efforts in strengthening the protection and restoration of wetlands as the focus of ecological civilization construction, and strive to see its wetland area of no less than 53.3 million hectares with a wetland protection rate of 50 percent by 2020, according to Li. By 2035, the quality of China's wetland ecosystem will be significantly improved, Li added.